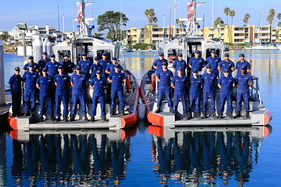 is a multi-mission unit that conducts Search and Rescue, Homeland Security, Maritime Law Enforcement, Counter Drug & Alien Migrant Interdiction Operations, and Marine Environmental Protection from Point Dume, CA to Point Conception, CA, and out 50 nautical miles. Every year it conducts between 100 and 150 search and rescue cases and between 150 and 200 law enforcement boardings. 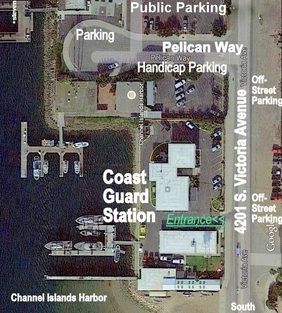 Station Channel Islands Harbor is DHS certified as a Pursuit unit. 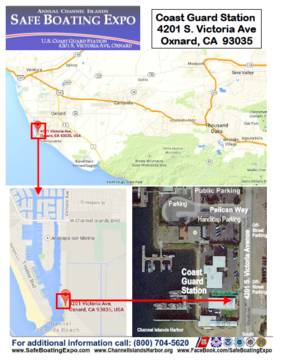 Station Channel Islands Harbor is homeport to the 87' U.S. Coast Guard Coastal Cutter BLACKTIP and to ESD Oxnard.